Wise blended family advice would certainly be helpful to a couple with children from a previous relationship and who are considering coming together to form one family. Unfortunately, blended family advice that is actually useful, realistic, and practical isn’t easy to come by. In fact, a lot of advice that parents in future or existing blended families receive are often misleading, giving rise to disappointment — or even worse — broken family relationships. The problem with a lot of existing blended family advice is they mistakenly assume that blended families fit a singular mold. For example, advice like “Parents should avoid physical displays of affection while the children are still adjusting to their new family setup” wrongly presume that children will be uncomfortable with such showiness. The truth is that children, or the members of each blended family for that matter, handle various situations in their own unique ways. Thus, it’s important for parents to examine the applicability of each piece of blended family advice to their particular situation. If parents in an extended family find that they’re going through rough patches in their familial relations, they shouldn’t panic. Conflict in families is normal, especially considering the unique setup that blended families find themselves in. What’s important is that rough times, while obviously unpleasant, are viewed as opportunities for an extended family to grow and to get to know each other better. The best blended family advice for turning these negative situations into positive ones involves dealing with each difficult circumstance in the most mature way possible. The worst thing to do is to ignore such problems and hope they’ll go away. Like cavities in teeth, small cracks in family relations that aren’t paid attention to often blow up into much larger difficulties that definitely become harder to deal with. Therefore, when the slightest hint of a problem shows up, parents ought to address them wisely at the soonest time possible. This one is very much related to the previous item. All the wise blended family advice in the world will not create a family situation that is perfectly smooth and conflict-free. 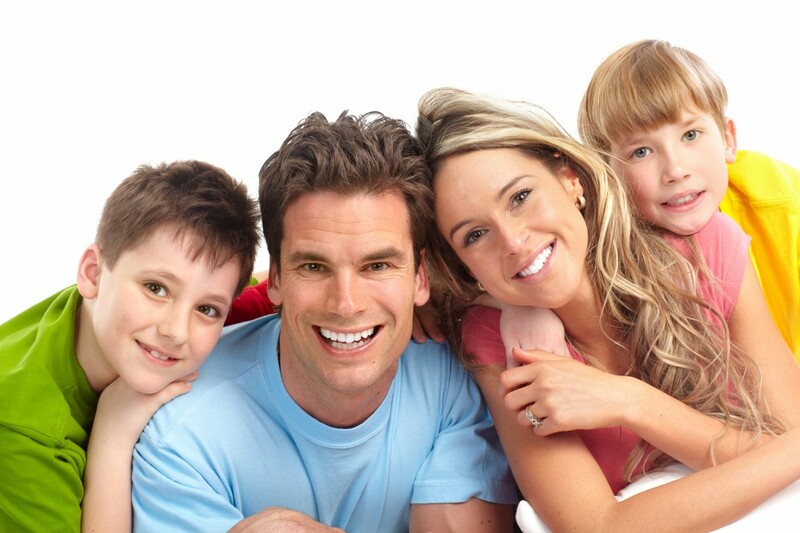 In fact, pleasant blended family relations may take months, even years, to develop. So while parents struggle to deal with issues that crop up, it’s best that they take the problems in stride and accept that they’re part of the family’s growing process. Parents should take heart in knowing, however, that many blended families eventually find a way to work out difficulties and find themselves in happy and productive family environments. The line “Failing to plan is planning to fail” is certainly applicable to blended families. When a couple with children from a previous relationship make the decision to create a blended family, it becomes absolutely necessary to discuss the current and future upbringing of the children and consider the best blended family advice available. Difficult issues like discipline, rules, religion and the like must be thoroughly deliberated and agreed upon. The more exhaustive the plans are, the more likely unsettling surprises will be avoided, and in turn, the smoother family relations will probably turn out to be. And of course, when the new family setup is finally announced to the children, it’s also essential that the parents discuss their plans with the kids and listen to what they have to say about the forthcoming changes in their lives. Parents should, however, not fall into the trap of thinking that when things go wrong, parents are automatically to blame for not planning for the new family setup carefully enough or for not heeding the best blended family advice available. As is true for even the most meticulously prepared for projects, plans for the family often don’t turn out exactly as envisioned. When problems do come up — and they unfortunately will — parents should deal with them in the wisest way they know, consider the best blended family advice available to them, adjust their plans if necessary, then move on. Lastly, when parents in blended families face situations that leave them frustrated and feeling hopeless, it would likely help them to remember that by no means are they alone in the problems they experience. In fact, the four pieces of blended family advice presented here could definitely be applied even to families with more traditional setups. Thus, parents in blended families should take comfort in the fact that problems are a normal part, not only of blended family life, but of family life, in general. What’s important is that parents face each challenge they are dealt with a positive attitude and in a forward-looking manner. Gregory Lehville is a resident of Ohio, where he lives with his wife and three children, two boys and one girl. He seeks to help families through Smart Divorce Network by sharing his experiences from his childhood family difficulties. This is in a bid to help them cope as best as they can in their respective situations.